These Covert Carry Rigs & Covert Holsters are suitable for Police and Special Forces units in the close protection or active shooter role. Ideal for pistols, H&K MP5's, carbines and other compact firearms and pistols. 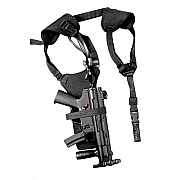 Covert Shoulder Rig for the H & K Kertz, for H & K Kertz Covert carry and fast draw response! 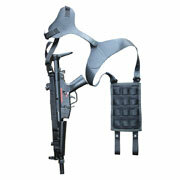 The Covert Shoulder Rig for the H & K Kurtz is in use with a number of Special Forces Units and Police Units worldwide. Manufactured in the UK, the Covert Shoulder Rig for the H & K Kurtz is made with 1000D texturised nylon and is fully adjustable to suit the wearer. 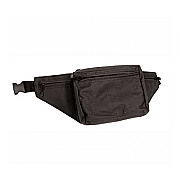 Blackhawk Weapon Fanny Pack, ideal for Special Forces, Police and Close Protection team use.